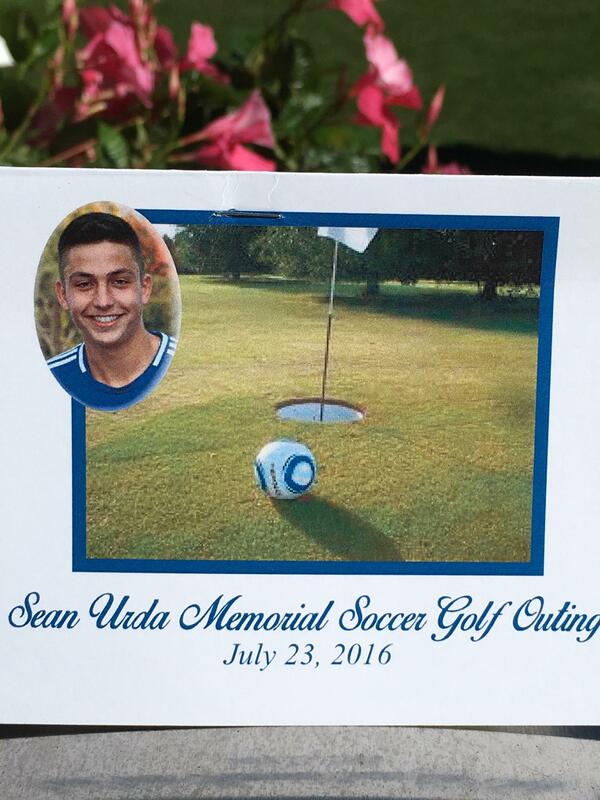 On behalf of the Urda family and the Sean Urda Memorial Soccer Scholarship, we want to thank you for making our Third Annual "Soccer-Golf" Outing a success. We had a terrific turnout with over 150 people coming out to help honor Sean’s memory by playing "Soccer-Golf" and even more participating in our raffles. 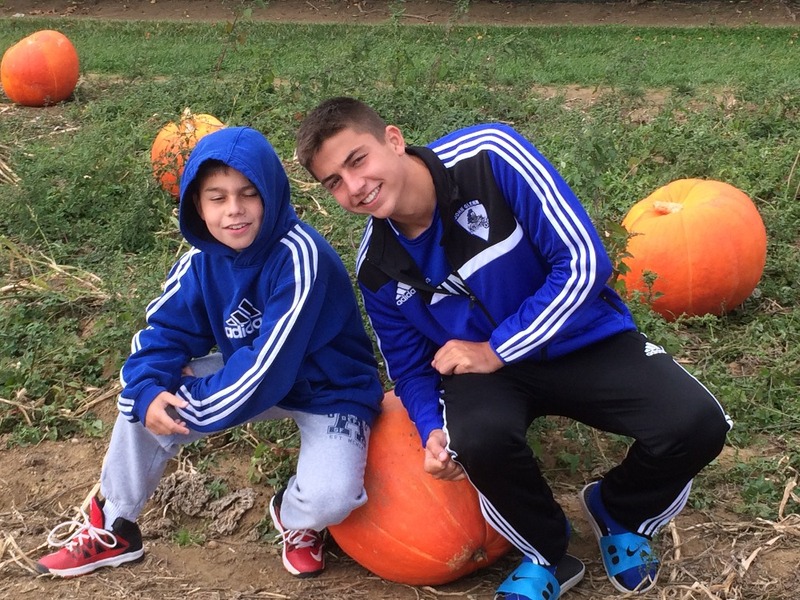 "On behalf of the Urda family and the Sean Urda Memorial Soccer Scholarship, we want to thank you for making our Second Annual "Soccer-Golf" Outing a huge success. 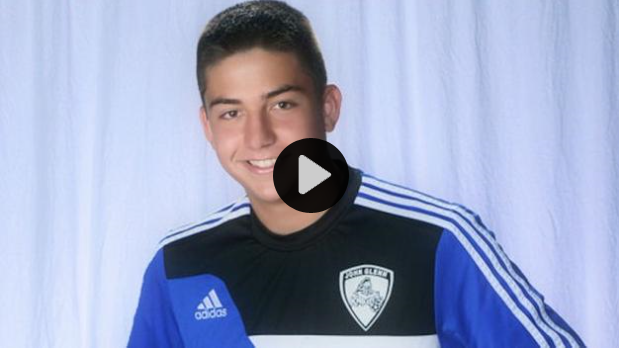 The Elwood Union Free School District gathered on the Elwood-John H. Glenn High School varsity soccer field on Oct. 14 for a special scoreboard dedication ceremony in remembrance of student Sean Urda. 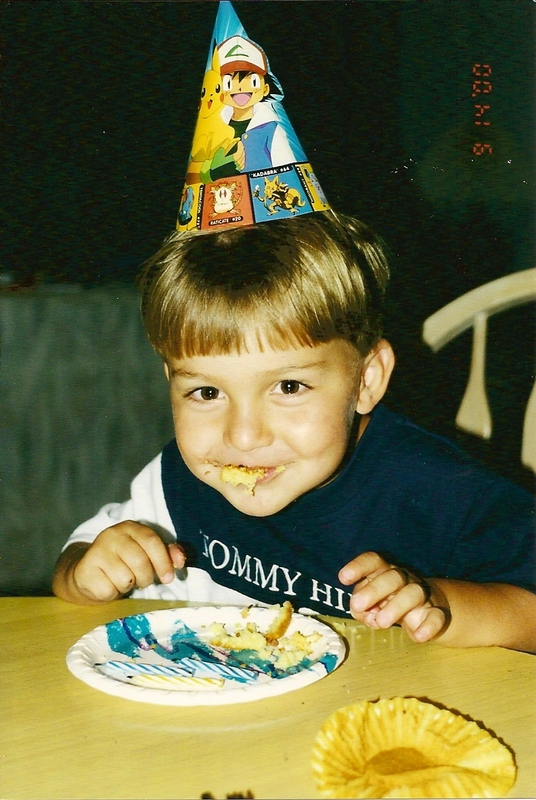 Nineteen years ago today you were born. Your presence lit up our lives and made our home brighter and our family stronger. We will spend today, much as we do everyday …. remembering you and holding you in our hearts. Happy Birthday Sean. We miss you more everyday. Family first always. "On behalf of the Urda family and the Sean Urda Memorial Soccer Scholarship, we want to thank you for making our First Annual "Soccer-Golf" Outing a huge success. We had a terrific turnout with over 200 people coming out to remember Sean by either playing "Soccer-Golf" or participating in our raffles. With your support, we were able to raise nearly $5,000 for the foundation set up in our son Sean's name." We are holding a Memorial Candle Lighting Cermony this Thursday, January 14th in memory of Sean. It will take place at St. Anthony of Padua Church at 7:00 pm. All are welcome to attend. Giving thanks for family time.....giving time to the ones you love to make memories......giving gifts to each other. Sean loved Christmas. He loved making hors d'oeuvres with his Fadre. He loved helping decorate the house with his Mom. He loved long endless games of Risk with his brothers. He loved the frantic game of Spoons and laughing during Anomia with his cousins and family. He loved waking up early Christmas morning to see what Santa brought. But what Sean loved most was watching someone he cared about open a gift from him and seeing the joy it brought them. Our family tradition is to exchange family gifts Christmas Eve. We sit around taking turns opening gifts one at a time. Sharing in the giving as much as the receiving with just our family. Sean used to spend weeks putting tons of thought into finding the perfect gift for each of us. Whether it was the dangly pink earrings he knew his Mom would love or the Halo 4 Xbox controller for his brother Ty or the razor spark scooter for his brotherLuke or my own "First to the Ball, Last to Give Up" license plate holder. The thing I remember most is the sparkle in his eye and the smile on his face as he delivered yet another thoughtful gift to those he loved. This Christmas we wish you all the gift of family The gift of giving memories to each other (memories are what truly last). Merry Christmas from the Urda's. Today we remember Sean's smile. He always wore it and shared it with everyone. We miss your smile Sean. Today, September 14, 2015, is your 18th Birthday. Today we will spend our time remembering all the great birthday’s we had for you and holding you close in our hearts. Family forever. Happy Birthday Sean. We miss you very much. 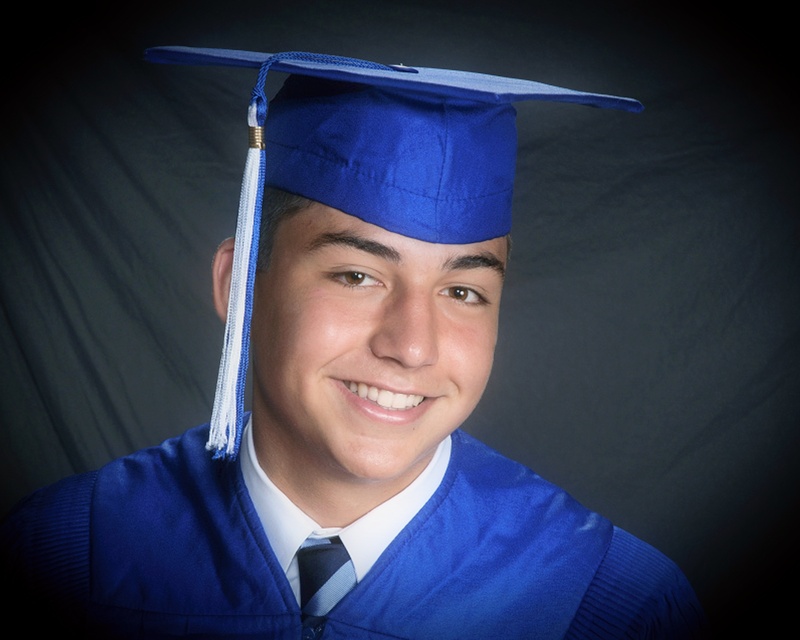 Today, June 26, 2015, five months after the accident, Sean would have graduated from High School. To the class of 2015 ----- our son Sean’s friends. There are two lessons we would like to share with you as you journey into the next phase of your life. The first is one my father taught me, and I taught my sons. My dad always said --- if you don’t know where you’re going, any road will take you there. The lesson here is a simple one. Choose your path…...don’t let your path choose you. The second lesson is one we recently learned. And one that we thought was worth sharing with you as you begin to figure out the road for your life. As adults – we tend to measure our lives by our accomplishments. Meaning great accomplishments equals great life. But as children, it was much simpler than that…… As children, we measure our lives by how happy we are. Happiness equals great life. By this measure we know Sean had a great life – one thing we all know about Sean is that he was happy. So our message to you, the Class of 2015, Sean’s Class --- be deliberate when choosing your path in life, but remember to choose the path that makes you happy. When you do, you will find all the success life has to offer. May your future be filled with much success and may Sean always be in your heart. "We are very grateful to Stacey Sager and everyone at Channel 7-ABC News for taking the time to honor Sean's memory with such respect. Thank you." Hi Gary – Adene Corns shared with me the piece you sent her, “7 Things I learned…” Like you I identified with everything except #7, the “unspeakable joy” thing. It’s been nearly 8 years since Casey’s suicide and the aftermath made her loss infinitely worse – the casual dismissiveness, lectures, belittling of her loss – from people who’ve never known loss. Today I tell people who really want to know how I am that each year gets slightly less unbearable, and that’s as close to joy as I get, at least for now. Meanwhile I’m incredibly grateful to Adene, Roz and everyone at Scribner who gave this rookie a shot after so many agents and pubs declared Casey’s story “too sad;” no one would read it. I am so very very very sorry for Sean’s loss. Why are all the kids we’ve lost so incredibly good looking? 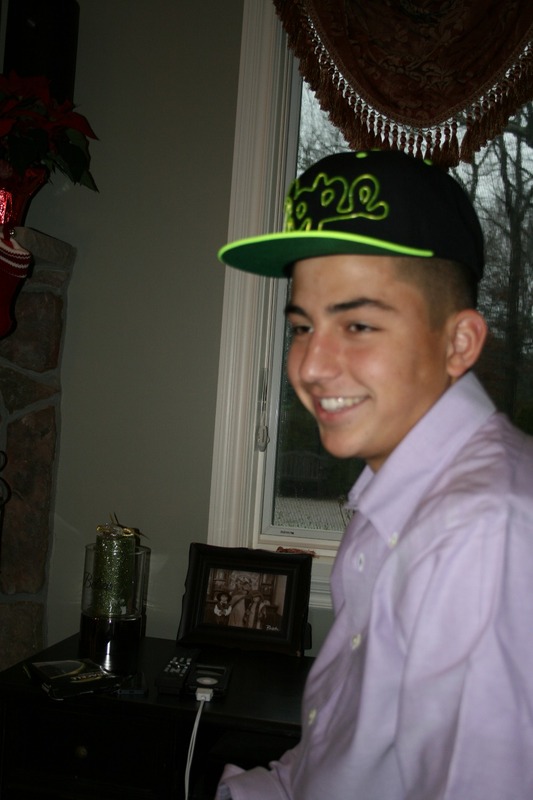 Happy Birthday Sean, this is a tough day for the Urda family and our hearts go out to them. I never met Sean but feel like I knew him through his dad. I think of you so often and the number fourteen will always be a special number for me.